Hey all you pawsome peeps! It’s me! 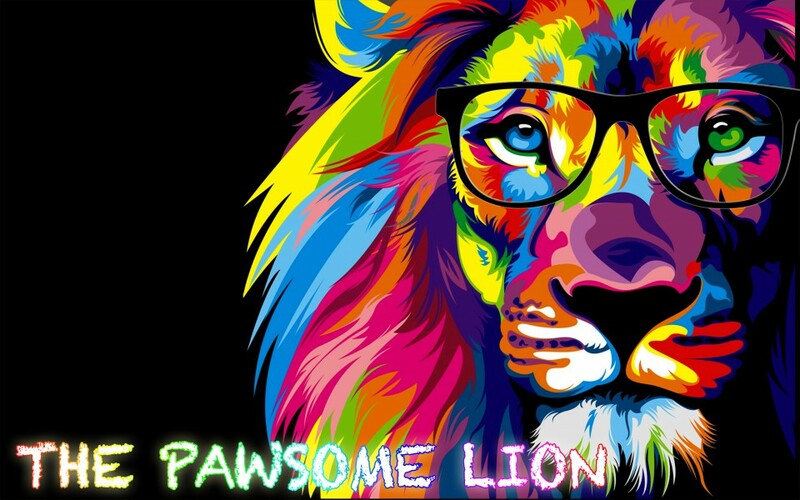 The Pawsome Lion is back! Where have all of you guys been? Hopefully you’ve all been doing OK! I’m sorry to keep you waiting for a VERY long time. I have been extremely busy at school with a lot of things. But, I’ve come back and I’ve come back for good now! Since the start of 2016, Mr Dad has been busy doing a ton of work. Mrs Mom hasn’t been feeling well lately and I myself has been busy with Keyboard Club, the new Handwriting Club that I teach with Nimah and with the new Drama Club that I recently joined! Because Mr Dad has a tight schedule and Mrs Mom hasn’t been feeling well, I have been helping them around the house and to babysit Little Miss Diva and Baby A. But, I have finally found some spare time to write a quick update on my blog to tell you guys how I’m getting on! Mrs Mom and I have also been working on a time schedule so I have enough time to post something on my blog. Also, today is the first day of Spring! Yay!!! 😀 It’s all sunny days and happiness, until Winter comes again! Oh well, that’s all for today’s post! I hope you all have a superb week! Till we meet again, adios amigos! p/s: I can’t wait to tell you what you’ve been missing! Hiya there pawsome peeps! Since the past two weeks, everyone at home have been feeling under the weather. This is because it has been freezing cold lately. Dr Auntie was the first one down, then it passed onto Mr Dad, then Mrs Mom and finally both Little Miss Diva and Baby A. Luckily, this time, I am not tagged along with them! 😀 As I am the only one who is as strong as a lion, I’ve been busy helping around the house. This has affected my schedule and I am a lot behind it at the moment. There are a lot of unticked boxes in my to do list! Got a lot of catching up to do! As you know, the two week school holiday has passed and today was the first day at school in the year of 2016! YAHOO!!!!! I couldn’t wait to go to school this morning and meet my AMAZING Miss Javed, my PAWSOME Miss Hussain and surely my ROARSOME Hazel class!!! When I arrived at school, everyone was looking happy and cheerful. Today, we had a supply teacher called Miss Dildar in the morning for about half an hour. In that half an hour, we spent the time writing some New Year’s Resolutions in 2016 and reflecting back on 2015. If any of you don’t know what a New Year’s Resolution is, it’s kinda like setting yourself a challenge or trying to improve on something for next year. My New Year’s Resolution was to improve on my writing skills so that one day, I can be a successful writer! Then, when Miss Javed came back to the classroom, we started our Train Your Brain Day! Train Your Brain Day happens on the first day of school after any long holidays. Train Your Brain Day is basically discovering new learning powers and having a go at using them. After our short Train Your Brain session, we moved on to the “normal” school day. Now, because it was the first day back, we were going to be learning about a new topic. It was…the Amazon rainforest (I don’t mean “Amazon” as in the electrical commerce Amazon XD )! The Amazon rainforest is a rain forest near the Amazon River Basin in South America. The Amazon rainforest is also known as the world’s most largest rainforest! Now, we needed a new display at school because we are learning about a different subject. So, in order to do that, my class helped make some parts for the display. The first thing that we made were cute little lemur monkeys that looked like King Julien! The parts of the body were separate so there was a lot of colouring, cutting and sticking. But, at least we only needed two or three colours. The lemurs were grey with black stripes on their tails. There was also some black on the face too. Once we finished colouring in the parts of the body, we cut them out and stuck them all together. Then, our lemurs were finished! They all looked cute and like King Julien! After lunch, we had another exciting activity to do in the afternoon. We were going to make Amazon snakes! The snakes were also for our Amazon rainforest display. There were three different techniques that we could use to make our snakes. No.1 was to use a plate and decorate it before you cut a swirly pattern onto it. No.2 was to use the chain technique, which is just cutting the right length strips of paper and bending them round to make a small ring and joining all the rings at the same time. The 3rd and final one is called the concertina technique.This is made by glueing two strips of paper which are the same size at right angles, folding one piece up, then the other one and repeating this many times. At the end of the day, we put all of our snakes and lemurs in one pile so that they could be displayed on the Amazon Rainforest display. I’m very intrigued by this new topic and I can’t wait to learn about it! It sounds super pawsome! p/s: What’s your New Year’s Resolution?